Pressure relief valves are safety devices that protect equipment from process overpressure. These valves require regular maintenance and testing to ensure they work properly when you need them. Quadco LLC is a valve sales and service provider that works with all manufacturers to provide our customers in the Energy, Power and Refining, Chemical and Pharmaceutical, Oil and Gas, and Water industries with custom solutions that best suit their individual needs. We repair all brands and sizes of safety valves and relief valves within our scope. 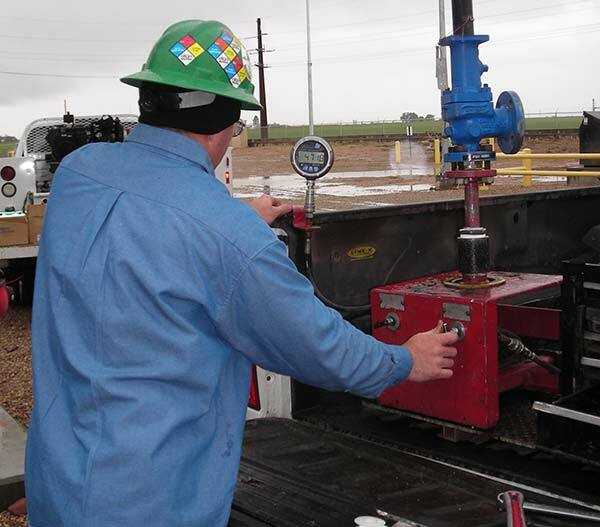 Our trained and certified valve technicians use specialty repair tools, blasting equipment, lathes, polishing equipment, lapping equipment, and qualified test stands to inspect, repair and test your pressure relief valves to international standards and manufacturer specifications. Offering the best service and convenience, Quadco can test, service, and repair your pressure relief valves in our facilities located throughout the Rocky Mountain Region or with our certified test trailers we can provide field service at your location and can even test your valves in-line (while your process is operating). As in all our service departments, Quadco's technicians are available 24 hours a day, 365 days a year to ensure that your plant is kept up and running. Quadco LLC is “VR Certified” by the National Board of Boiler & Pressure Vessels (NBBI) to service, to repair all ASME Section I and VIII Division I safety and safety relief valves (all makes/models of pressure relief valves for liquid service, air service, gas service and steam service). The "VR" stamp that our shop carries covers both high pressure and low pressure safety valves and relief valves. All of our safety valves and relief valves are repaired in accordance with the A.S.M.E and National Board Inspection Codes.